I2O, leading canopy and covered walkways manufacturer has been able to improve efficiency, productivity, staff safety and customer service by implementing Crystal Ball’s FleetTracker solution. 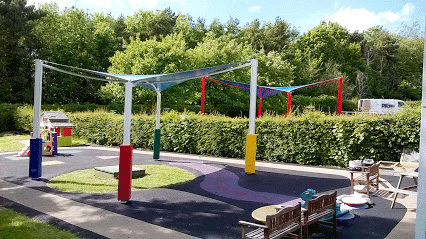 Inside2Outside (I2O) is one of the UK's leading canopy companies and has been designing, manufacturing and installing premium-quality tensile fabric canopies, structures and covered walkways for schools, businesses and other organisations around the UK since 1991. I2O operate a fleet of vehicles which is used for installations, sales and deliveries throughout the UK. Vanessa Reed, General Manager at I2O, believed it was absolutely vital to gain complete visibility of field staff in order to ensure the quickest routes were being taken to jobs and to ensure maximum workforce productivity. The company also believed driver behaviour and speeding levels should be monitored to ensure employees were driving safely within the law and to ensure leased vehicles were being driven appropriately. In 2012, I2O implemented FleetTracker, Crystal Ball's established and comprehensive vehicle tracking solution. Crystal Ball's detailed mapping system displays the locations of all vehicles in real time and ensures I2O now has complete visibility of its entire sales, installation and delivery workforce 24/7, 365 days per year. Crystal Ball's integrated reporting suite offers scheduled weekly driver speeding reports and historical journey data showing speeding instances and routes taken. Within Crystal Ball, the company has been able to define bespoke ‘geofences’ – virtual geographical boundaries – around areas of strategic importance, such as its head office site. Alarms and alerts notify company administrators when vehicles have entered or exited these geofenced areas. FleetTracker's Driver ID bolt-on enables I2O company administrators to identify individual drivers and collate their journey data. This functionality serves to highlight driver performance, including any speeding events or any other motoring offences, allowing any fines or penalties to be allocated correctly. FleetTracker has directly addressed the challenges Vanessa and her team had been facing. "I2O can now ensure a safer workforce on Britain's roads, helping to maintain clean driving licenses, prevent speeding penalties and reduce vehicle wear and tear. As a result, our use of Crystal Ball has also resulted in improved fuel consumption. Scheduled reports allow me to address speeding instances with the driver to prevent future incidents and this has definitely had a positive impact on driver behaviour." "Since introducing FleetTracker our drivers are now getting to jobs in a more timely manner. We have noticed less time-wasting and quicker, shorter journeys. This is important to the business because staff are paid hourly. Using the quickest routes to get to jobs is therefore very important. Crystal Ball is also very useful in instances where the driver's have no sat nav, on numerous occassions we have been able use the system to locate driver's and direct them to their destination ensuring they get their on time. " "Geofence alarms ensure staff are back on site before 5pm. This is particularly important in the winter months when the days get dark early because, ideally, we want staff to be back whilst it is still light. Staff safety is very important to us and with Crystal Ball in place we have been able to improve on it." Crystal Ball has also helped in another area of paramount importance to I2O; customer satisfaction. Now, thanks to the regular location updates provided by the Crystal Ball system, it is able to provide customers with a smooth and faultless service; offering location data and arrival estimates as and when a customer requires. "I2O now operates a safer workforce on Britain's roads, helping to maintain clean driving licenses, prevent speeding penalties and reduce vehicle wear and tear."